Although it often falls outside of Memorial Day weekend, the 28th Infantry Division's annual "Celebration of Service" held on the grounds of the Pennsylvania Military Museum embodies the spirit of the holiday. 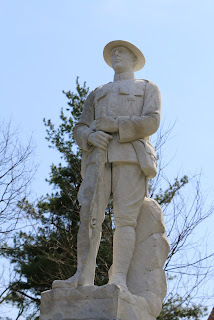 The museum grounds include the 28th Division Shrine memorial wall, which honors soldiers who died in World War I and World War II, as well as later monuments to those killed in subsequent military conflicts. The May event brings together military personnel and civilians to commemorate those who have died in service to their country and to recognize all who served and who are currently serving. This year's event also honored Gold Star Families, who have lost loved ones in service. You'll find photos on Facebook posted by museum staff (photo album of event), and Gov. Tom Wolf, who attended with First Lady Frances Wolf, posted images on his official page (see below). Currently, we are working on new exhibits for the Military Museum that we hope will reflect the broad range of service and sacrifice by Pennsylvanians in military service and on the home front, from the French and Indian War forward. This is, we recognize, a story that does not have a conclusion, as we are not likely to see an end to war. The history of who fights and who stays home is not the same for every conflict and has changed over time. It is my hope that we can engage with visitors in an exploration of what this means for us as communities, as a state, and as a nation. 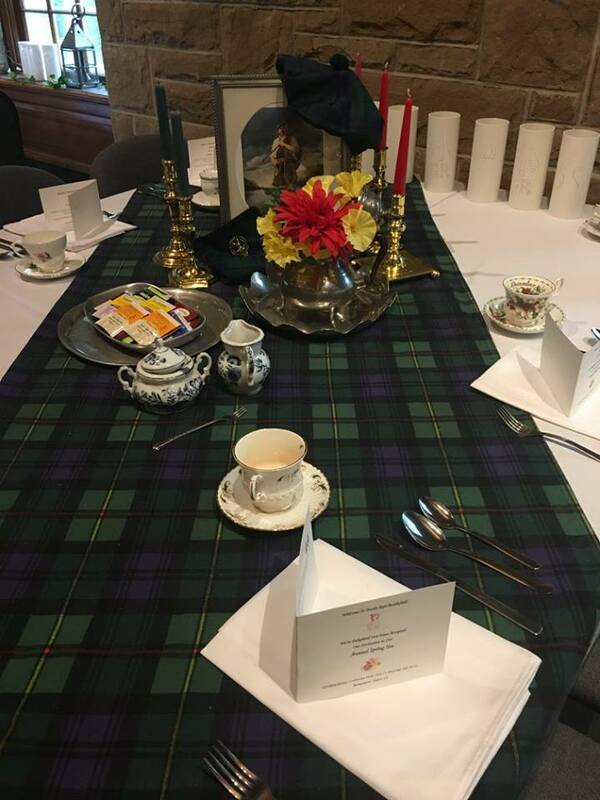 Bushy Run Battlefield has geared up for the season and recently held their annual spring tea. Their spring and fall tea events have become very popular and generally sell out. The tables were themed to represent the Native American, Highlander, British, and Colonial participants in the Battle of Bushy Run, and volunteers provided short presentations on the history to those in attendance. The folks at the site also took the opportunity to promote other programs and activities planned for the summer and fall. 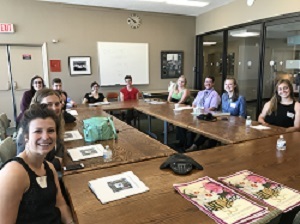 The 2017 PHMC Keystone Interns have started their summer with us. This year, Keystone interns can be found at the State Museum, the State Archives, the State Historic Preservation Office, and Landis Valley Village and Farm Museum. I'm hoping that, as in past summers, some of the interns will be guest blogging on Trailheads to share their projects and interests with us. Monday, May 22, was National Maritime Day, which we celebrate even in mostly land-locked Pennsylvania. I'll leave you with two posts from the Trails of History and wish you a safe and meaningful holiday weekend. 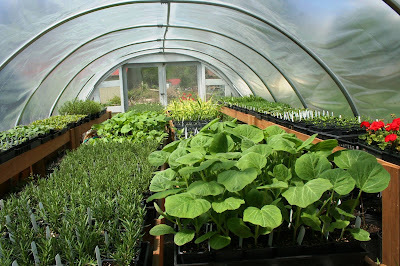 The May program page has info for this weekend and the remainder of the month. Please check it out if you're looking for something to do. Everyday is "something" day on the Internet, usually many different "somethings." Tuesday, May 16, was Museum Memories Day (#MusMem). I tweeted that my earliest museum memories were of the Pink Palace Museum in Memphis (now part of a larger museum system in the city where I was born and where music pioneer W.C. Handy gave birth to the blues). I have many happy memories of my mother walking my brother and me there to see things that were familiar (we always followed the same route through the museum, as I recall), including the hollowed out log that had holes in it for you to stick your hand in and feel the taxidermied, I want to say, skunk (or weasel? or badger?). But there were changing exhibits, too - I remember a pair of red shoes from the Wizard of Oz (not the same pair the Smithsonian is conserving?). It was also a place that at an alarmingly early age (7, I think) I walked by myself to meet friends from school to wander around the museum and grounds. I felt at home there. It was my place. And although I have not been there in more than 40 years, I have no doubt that it helped to shape my sense of self, not to mention my career choice. I have many other museum memories - museum visiting is both a cause and an effect of working in the museum field. Tons of visits to museums and historic sites with family and friends, rarely a vacation that doesn't include one or more. Some visits are milestones in my relationship with my husband ("marching bellhops" to see if he's reading). I won't bore you with all of them here. But all of this to say that sometimes a theme is in my head as I read through social media posts and newsletters from sites on the Trails of History. That was the case this week, so here are some of the things that stuck out at me. And a third post that I'll use to remind you that from Memorial Day to Labor Day, PA Trails of History sites will be participating in the Blue Star Museums program, which provides free admission to active duty military personnel and their families. PHMC sites offer this all year round; participating in the Blue Star Museums program helps us get the word out to eligible families. In March of this year, Willy Paulino wrote a review on the Anthracite Heritage Museum's Facebook page noting that as a military spouse, he was able to take his kids to visit for free. "Great way to give back! Thank you guys for your support!" Thank you to the Paulinos and all the military families who serve our country. And thank you to the museums and historic sites, on and off the PA Trails of History, who help people every day to create their own lasting museum memories. The May programs page has info on events this weekend and beyond. Sue Bowman's April 28 article on LancasterFarming.com, "Iron Stoves Were Hot Items: Historian Traces Stove Plate Style," provided a recap of Richard Martin's April 11 lecture, "Warm Your Hands Here," part of Cornwall Iron Furnace's monthly lecture series. It's an interesting read on the evolution of iron stoves and an overview of southeastern PA iron furnaces, of which Cornwall is a notable example. Visit Cornwall's website for a schedule of upcoming lectures and programs. 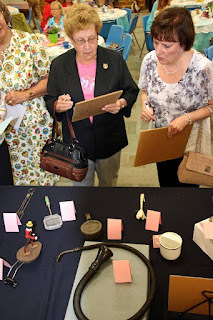 One of the activities at the Anthracite Heritage Museum's recent spring tea was a table of historical objects attendees were asked to identify (more photos of the tea on Facebook). 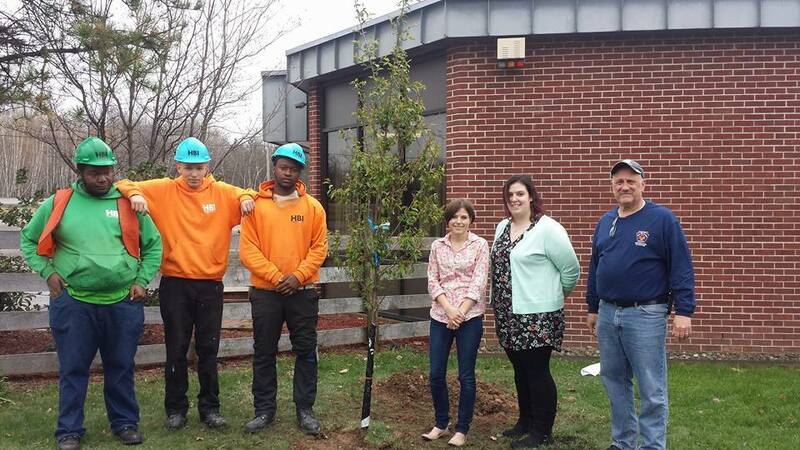 For Earth Day 2017, as they have done for several years, Eckley Miners' Village teamed with Keystone Job Corps Center to plant a tree outside the visitor center. Construction students prepared the site, planted the tree, and toured the village to learn about the lives of coal miners (via Facebook). Reenactors at last weekend's Military Timeline at Conrad Weiser Homestead pose with the newly conserved statue honoring men of the Tulpehocken Valley who fought in World War I (via Facebook). 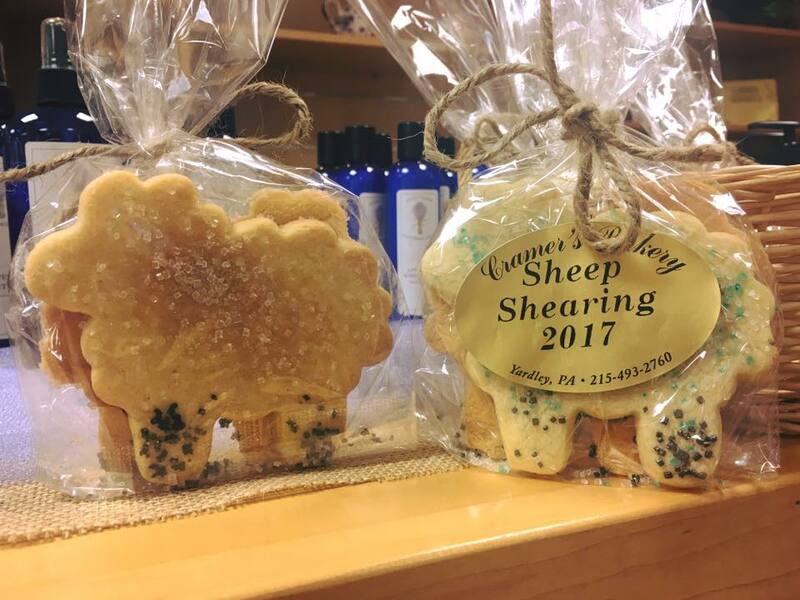 As a tasty complement to their annual sheep-shearing event, Pennsbury Manor featured sheep-shaped cookies from Cramer's Bakery in their museum store (via Facebook). 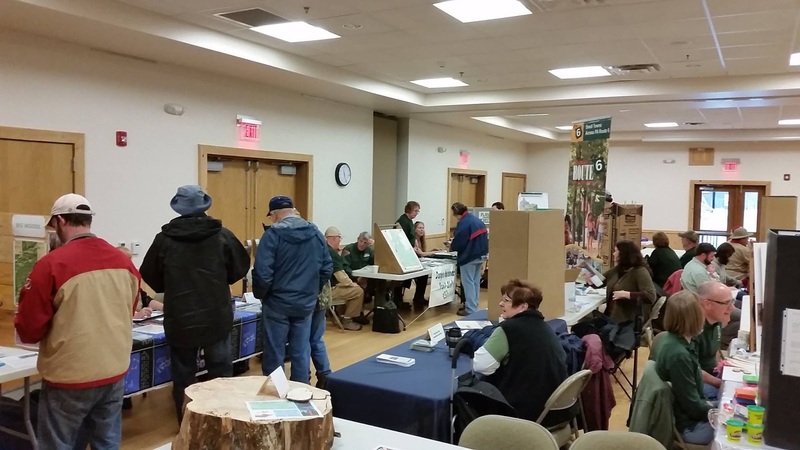 Visitors to last weekend's Community Day event at the PA Lumber Museum talked with representatives of numerous local organizations and agencies and braved rainy weather to tour the outdoor portions of the site (via Facebook). The May program page has info on upcoming events on the PHMC's Trails of History. 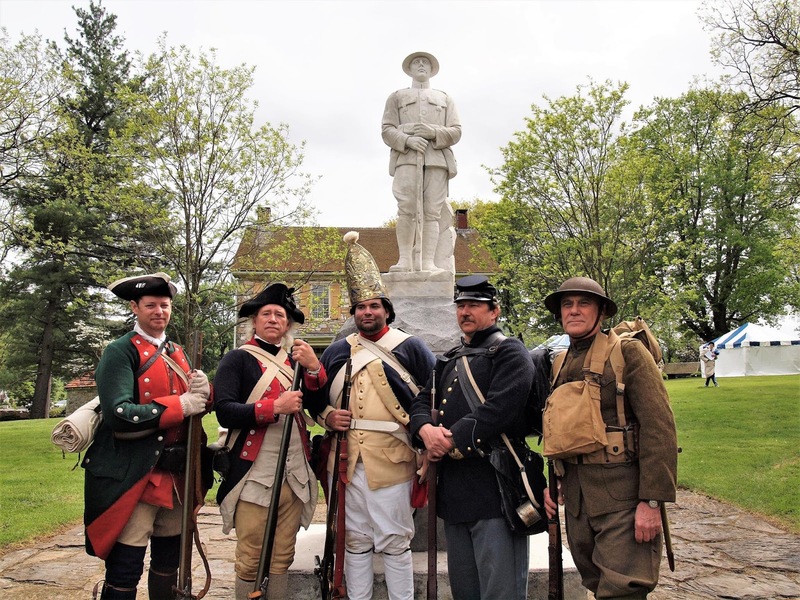 Among the events happening this weekend is a military history timeline at Conrad Weiser Homestead, with reenactors representing PA German units who fought in US conflicts from the French and Indian War up through WWI. A highlight of the event will be the "American doughboy" statue honoring men of the Tulpehocken Valley who served during WWI. 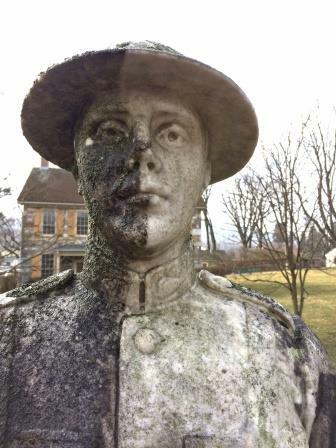 Over the years, the statue had become dirty, and the surface was invaded by algae. Professional conservators from the firm of B.R. Howard and Associates (under contract to PHMC) cleaned the statue and treated it with a biocide to kill the algae. Now it looks much better, more like its original appearance, and just in time for the centennial of U.S. entry into World War I.
I remember one of my grandmothers, who was born in 1907, talking about knitting socks for the soldiers in WWI. Knitting for the soldiers has been an important part of home front activities in many American wars. It strikes me as a highly personal connection between the knitters and the recipients, who may know each other well or who may never ever meet in person. Kudos to Somerset Historical Center for a hands-on lesson about the home front. It is a truth universally acknowledged that a historic site with beautiful grounds must be in want of throngs of prom-goers lining up to take photos (sorry, Jane). This spring, Ephrata Cloister embraced that truth and decided to reach out more systematically to local high schools. They've scheduled the photo opportunities, staffed information tables to promote programs and membership, and provided complimentary snacks and refreshments. The first weekend drew about 375 people (including prom-goers and families). The primary purpose of this effort was to be a good neighbor, but there have been benefits as well in the form of museum store sales and greater community awareness and appreciation of the site, its beauty, and its history. The Pennsylvania Lumber Museum recently posted a thank you to several Galeton businesses who sponsored a visit to the museum by the Gale-Pride after school program. Drake Well Museum and Park has received funding from the Oil Regional Alliance Educational Mini-Grants Program and the Bridge Builders Community Foundation to fund their new "Transportation Scholarship" program. The funding will subsidize transportation costs for some 800 6th graders in 10 public schools within the Oil Regional National Heritage Area so that they can participate in the Museum's School Tour program. 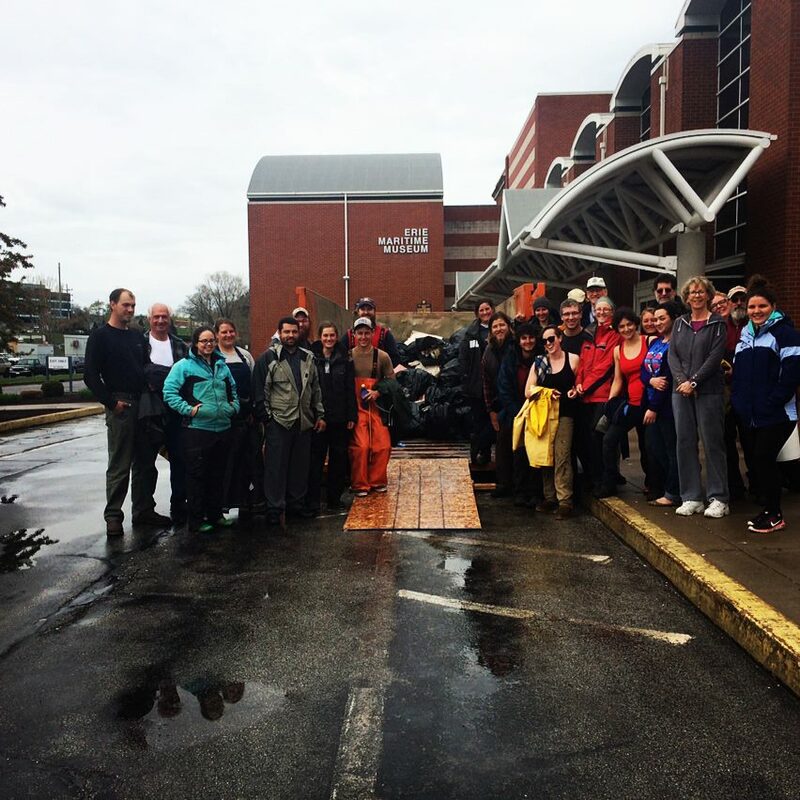 Last week, in the midst of getting the ship ready for the sailing season, the crew of U.S. Brig Niagara helped with waterfront cleanup in the area around the Erie Maritime Museum and shared some photos on Facebook.